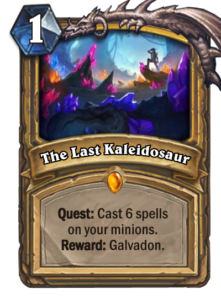 The Last Kaleidosaur is the Paladin legendary quest: cast 6 spells on your minions in order to receive Galvadon. 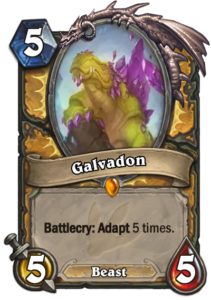 Galvadon definitely has a lot of potential! A 5-mana 5/5 with a battlecry to adapt 5 times! You have an 83% chance to find any one of the 10 possible adaptations for Galvadon, as well as a 64.44% chance to pick up the elusive Stealth + Windfury combination. Talk about a win condition! Obviously, Galvadon has its weaknesses. It cannot charge, so it has to survive a turn. You will almost always get that Stealth to help it survive, but some forms of hard removal can still take it out – such as Devolve, which is likely the answer that sees most play. And then there is the matter of completing the quest itself. 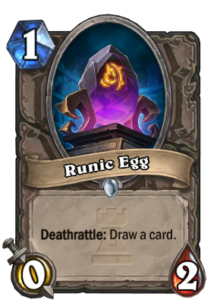 Casting 6 spells on your minions is an immense undertaking that comes with tons of risks, because when your buffed minions are destroyed, you will lose several cards worth of material in one go. Overall, I expect this one to be one of the hardest quests to complete, and finding a competitive deck will be really hard. There are some interesting synergy cards though, which make it possible to sometimes highroll your way to an easy victory. Let’s take a look at the new tools we get to make buffing up easier. A cheap Paladin buff spell, Adaptation applies a single adaptation to a minion. Given that you have a 30% chance to find a specific one, I don’t think this card is particularly strong. 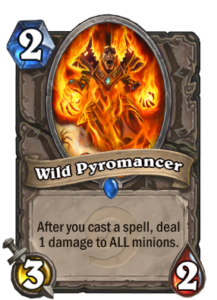 Even when there are nice combos available, such as Wild Pyromancer + Poisonous that wipes the board, the unreliability of the card makes it weak. 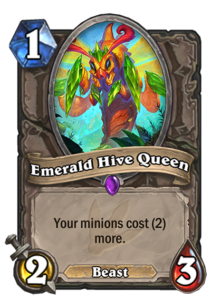 Still, with Paladins desperate for buffs, this card may end up seeing play in quest decks. A Paladin version of Living Roots, this spell summons two 1/1 Silverhand Recruits. 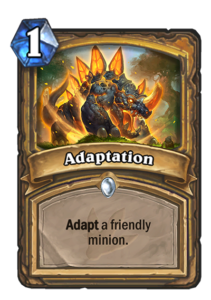 This may give Paladin some early game, or combined with general buffs later on, it could add some mid-game power. 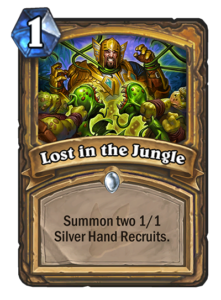 Overall though, the ways to summon and buff Silverhand Recruits are rather limited with no Muster for Battle or Justicar Trueheart. These are not the days of Brann Bronzebeard into double Quartermaster for 9/9 Silverhand Recruits! I don’t think there are enough synergies available to warrant running a Silverhand Recruit buff deck in Standard. While at first sight this neutral 1-mana 2/3 Beast that makes your minions cost 2 more while it’s alive might not seem a match for a buff deck, it might turn out to be exactly what is needed. 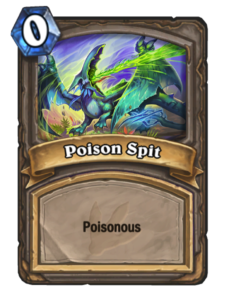 It is one of the few 1-drops that has a chance to survive until turn 2, when you could then play the quest and a 1-mana buff on it. This Paladin class minion, a 2-mana 1/2 Murloc with a deathrattle to return any spells you cast on it to your hand, is the highroll card of any Paladin quest deck. Getting this out early, getting a bunch of buffs on it before it gets answered, and having it avoid Hex or Polymorph can cause such a snowball that you just win games. 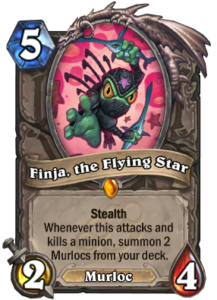 I think it is even worth considering putting together a Finja package, either just this and Finja or adding in Warleaders and/or Bluegill Warriors to get this out more often. Paladin is just a little hard-pressed to find room for the Finja package when running a ton of buff spells to complete the quest. 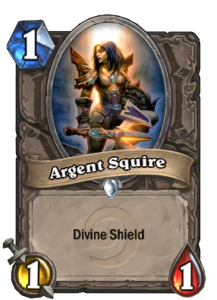 At first sight, it looks like this card is meant to support your progress through the Paladin quest. A neutral 4-mana 3/3 with a special ability that when you cast a spell on it, it summons a 1/1 plant and casts another copy of the spell on it. 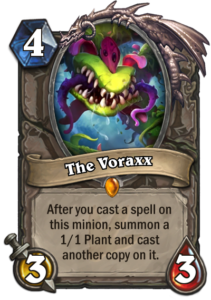 Don’t be fooled by the card text: it is indeed Voraxx who casts the spell, not you. No quest credit for the copies. If you can build a late-game buff deck, Voraxx can be pretty insane, for example with Silvermoon Portal or the new card we’re looking at next, Spikeridged Steed. 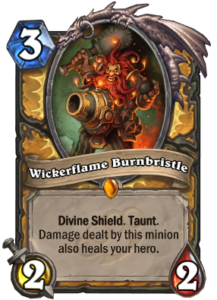 Now, this buff card costs a ton but it does pack a punch. 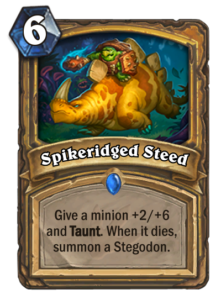 It costs 6 mana to give a minion +2/+6 and Taunt, and a deathrattle to summon a Stegodon (a 2/6 Taunt) when it dies. A very powerful midgame card, if you can build a deck to get there in a good position. 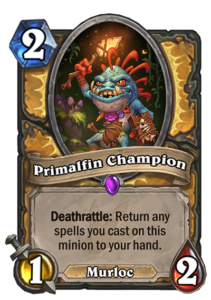 Play Finja on five, use it to pull a Primalfin Champion on six and cast this on the Primalfin Champion. Sounds good. There are three ways to go when building the Paladin buff quest deck. First, you can go for an extremely low curve with Divine Favors to refuel, and use low-cost minions such as Runic Egg and Argent Squire: make trading uncomfortable and look for ways to get something to stick in order to receive buffs. Second, you can go for a slightly more midrange list with Finja in it to get a better chance to use those Primalfin Champions and swing the game to your favor around turn six. Third, you can try to build a control list with few buffs that is comfortable taking things to the late game. I think Galvadon as a quest reward in general does not support the control strategy too well though, because its one vulnerability, hard removal, is more readily available the longer the game goes on. If you’re looking to play control, N’Zoth Paladin might still be viable, no quest there. 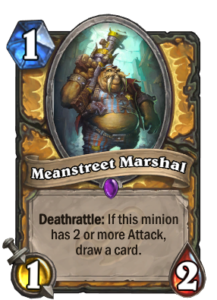 In a buff deck, Meanstreet Marshal can almost always get buffed so that it draws a card. 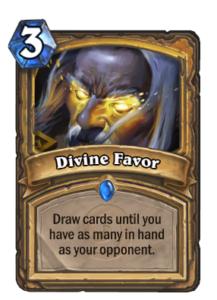 The card draw of the deck is based on the Marshal and one copy of Divine Favor, as well as Finja pulling Murlocs from your deck. 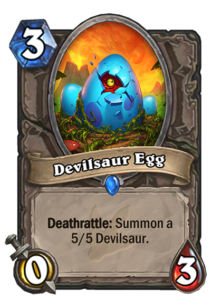 Devilsaur Egg is a powerful buff target that makes for some really awkward trades for the opponent. 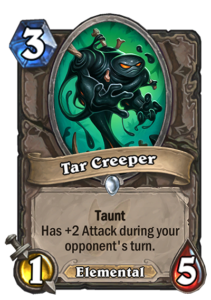 In order to survive, some taunts are in order, and here Wickerflame Burnbristle is joined by a pair of Tar Creepers. Aldor Peacekeepers can turn big threats into small threats. 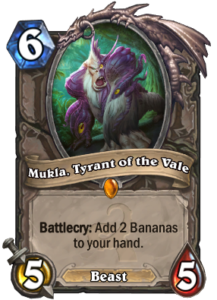 Finally, Mukla, Tyrant of the Vale stands proud on the top of the curve, ready to give you two additional spells to buff your minions with. Overall, Paladin quest deck has been one of the most difficult ones to come up with. 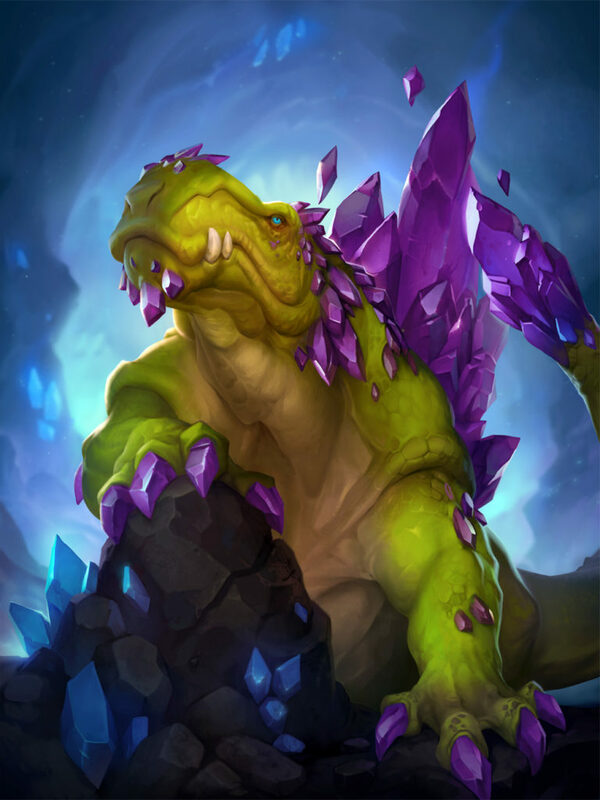 Running a ton of buffs is just inherently weak in Hearthstone, and even though Primalfin Champion and Spikeridged Steed are huge cards that can make that strategy a lot more viable, it is hard to see whether they can carry the concept until testing is possible. 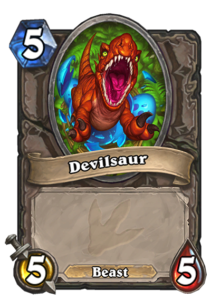 Next Next post: Zoo: Hearthstone budget deck is back!